The primary purpose or function of a United Methodist heritage landmark is to stand as a reminder of, and witness to, an important part of our United Methodist history. To mention a landmark should cause us to remember not just the landmark itself and its immediate history but to unpack and recall an entire set of events for which the landmark stands. In our national memory one can speak of Valley Forge, and we recall not just that horrible winter but also the entire Revolutionary War. That landmark recalls the dedication and commitment of that entire era. In the same vein, this landmark, Gulfside United Methodist Assembly, speaks not only to a single event, but causes us to remember the many challenges African Americans had in a nation---and a church---that was segregated. It stands as a witness to pain, determination, and as a reminder of the challenges yet to be faced. Until Gulfside, there were no accommodations of any kind for any person of color along the entire Gulf Coast. 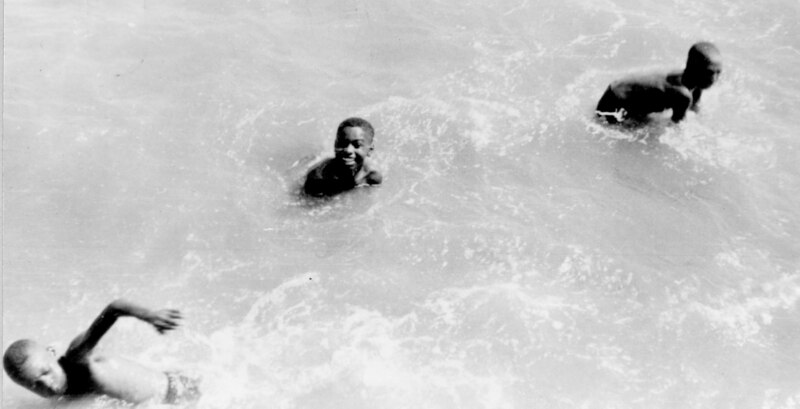 There was no place a person of color could use the beaches or swim. Gulfside reminds us of our broken and segregated past and our challenged future. It speaks to the desire of many, even in the midst of such terrible attitudes, to be able to discover and experience community, renewal , education, and grace. To listen to the stories of those who attended events there Gulfside may have been on the coast but it was a mountain top experience for many. Gulfside was severely damaged by Katrina 2005 and is in the process of rebuilding. 1) Heritage Landmark application for Gulfside held at General Commission on Archives and History of The United Methodist Church. Points of interest at this Heritage Landmark: In August, 2005, Hurricane Katrina destroyed every structure at Gulfside Assembly. Gulfside has built an Open Air Chapel on the property near the grave sites of the founder, Bishop Robert E. and Mrs. Jones. Bishop Robert Brooks, an associate of Bishop Jones, is also buried there. The Open Air Chapel was dedicated in the honor of Bishop Leontine T. C. Kelly on February 27, 2016. Special events: A Gala Celebration for Gulfside and the ministry of Ms. Mollie M. Stewart, President/CEO of Gulfside Association "Assembly," Inc. is to be held on April 22, 2018. 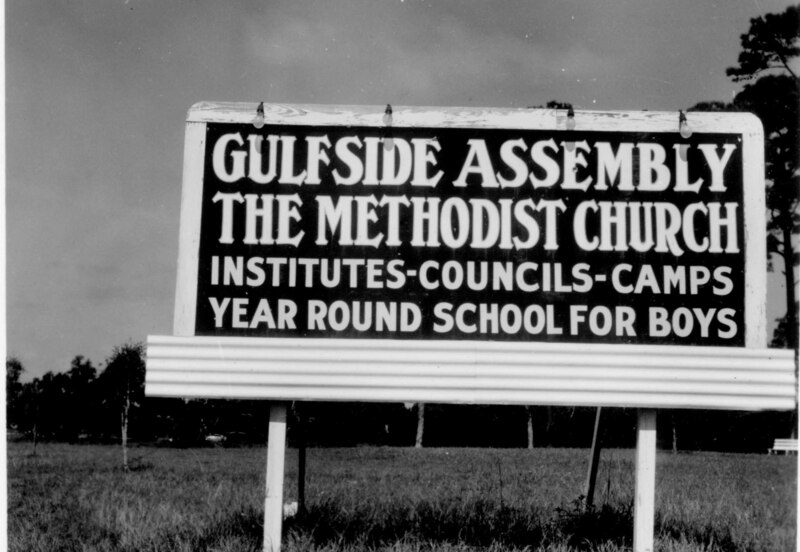 During this celebration Gulfside will be formally be awarded its 2016 General Conference approved United Methodist Heritage Landmark status by the General Secretary of the General Commission on Archives and History, Rev. Alfred T. Day III. Area attractions: You can also visit the Pearl River UM Church Heritage Landmark, in Madison County, about an hour northwest of Waveland. Pearl River Church is the home church of the Lambuth family, which holds a unique role in the history of Methodism as ministers and missionaries dating back to the early 1800s. There are also several UM Historic Sites in the state. To visit: Site is open but there is little interpretation on the site as of this time. Please contact Mollie Stewart, President of Gulfside Association (see below), for additional information. Location: The physical address is 950 South Beach Blvd., Waveland, MS 39576. Food and lodging: There are not a lot of hotels within the immediate area of the Landmark but there are several nice chain hotels within 20 miles. Area restaurants excel at serving fresh seafood but there are a variety of options to choose from. Directions: I-10 will take you quickly east or west across the state while US-90 follows along the gulf at a more leisurely pace. MS-53 S and MS-603 S will take you into Waveland proper and become Nicholson Ave. Continue south until you reach the intersection with South Beach Blvd. Take a right and continue 1.3 miles and the site will be on the left just before the Buccaneer State Park..
For further information, contact: Mollie M. Stewart, President of Gulfside Association, 228-304-1637; molliecstewart0128@gmail.com or Debra McIntosh, Millsaps Library, 1701 N. State Street, Jackson, MS 39210, 601-974-1070; mcintdw@millsaps.edu. To learn more about United Methodist church history in this area: Rob Webb, Mississippi Annual Conference Commission on Archives & History Chair, P.O. Box 494, Prentiss, MS 39474, 601-792-4956; rowebb16@bellsouth.net. Andrew W. Kahrl, The Land Was Ours: African American Beaches from Jim Crow to the Sunbelt South (Harvard University Press, 2012).